At the ROL Group we perform quarterly analysis on patent packages offered for sale on the open market and our 2015 Q1 analysis showed that the number of sales is trending up significantly. 2015 Q1 sales are up 81% over 2014 Q1. While sales are trending up, the asking price per asset is has been trending down as discussed in our IAM article 2014 Brokered Patent Market. To determine sales we cross check each patent in every brokered package with the assignment data from the USPTO website. If a single asset in a package transfers from the listed seller to an outside entity then we consider the entire package sold as of the date the associated reel/frame is recorded by the USPTO. While this procedure is the same as in previous articles, for this post we did all analysis based on the recorded date of the sale rather than when it was identified. 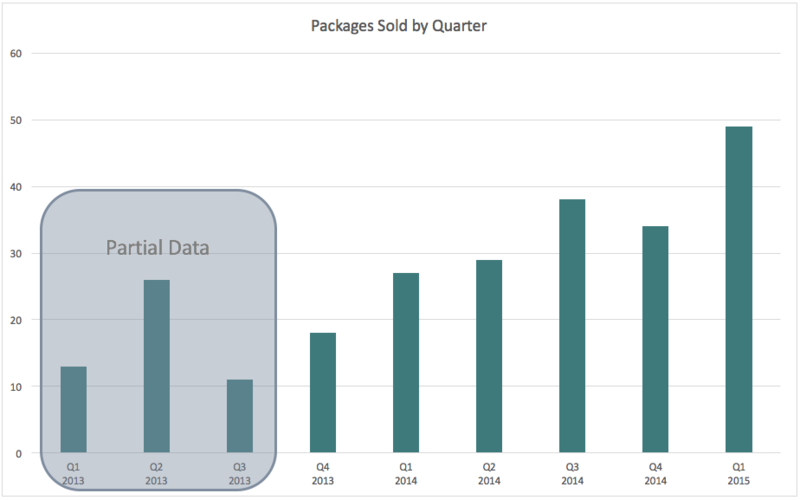 Due to USPTO delays in recording assignments, the 2015 Q1 sales may be understated. The top buyers in 2015 Q1 were RPX, a Canadian numbered company, and Intellectual Ventures, for their Intellectual Investment Fund 3. These buyers accounted for 42% of all of the packages purchased in 2015 Q1 and RPX alone accounted for 28%. Other companies that purchased multiple packages and their recent buying history can be seen in the chart below. 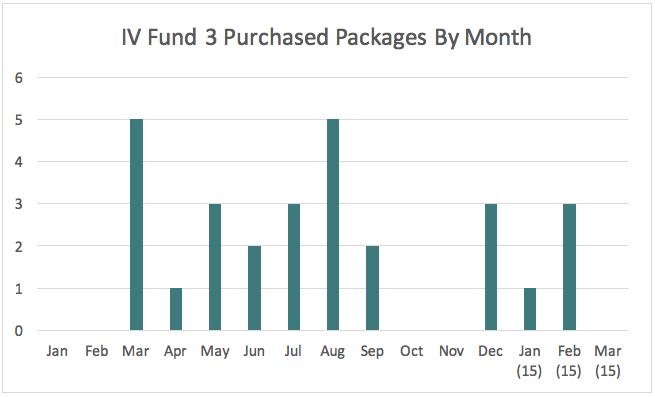 We previously discussed Intellectual Venture’s buying in our blog post, Intellectual Ventures is Buying Again and our July/August 2014 IAM paper What’s Inside IV’s Patent Portfolio. Because they represent such a significant portion of the market, we want to revisit it for an update. As can be seen in the above graph, December 2014 through February 2015 represents a return to buying after a short hiatus. It should also be noted in February 2015 we identified a reel/frame representing the assignment of 16 assets from Spansion, LLC to III Holdings, LLC. For our analysis, we are treating this purchase as 1 package, but it is important because we believe that IV actually cherry picked assets from a list of approximately 2800 assets related to flash memory semiconductors. 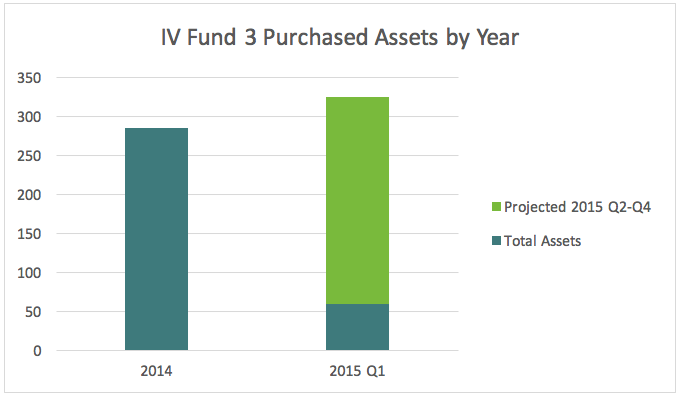 Based on their Q1 purchases, we expect to see IV purchase slightly more assets this year than last year. This is nowhere near their peak buying of ~5600 assets in 2008, nor their buying from 2007 to 2013 which accounted for at least 3000 assets per year.